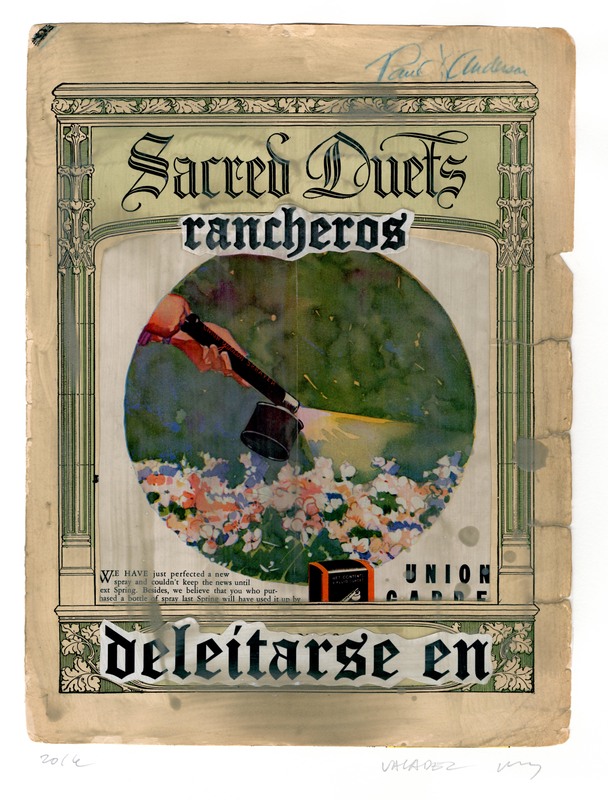 Paul Valadez grew up in a Mexican American household in Stockton, California where Spanish was used to hide things from him. 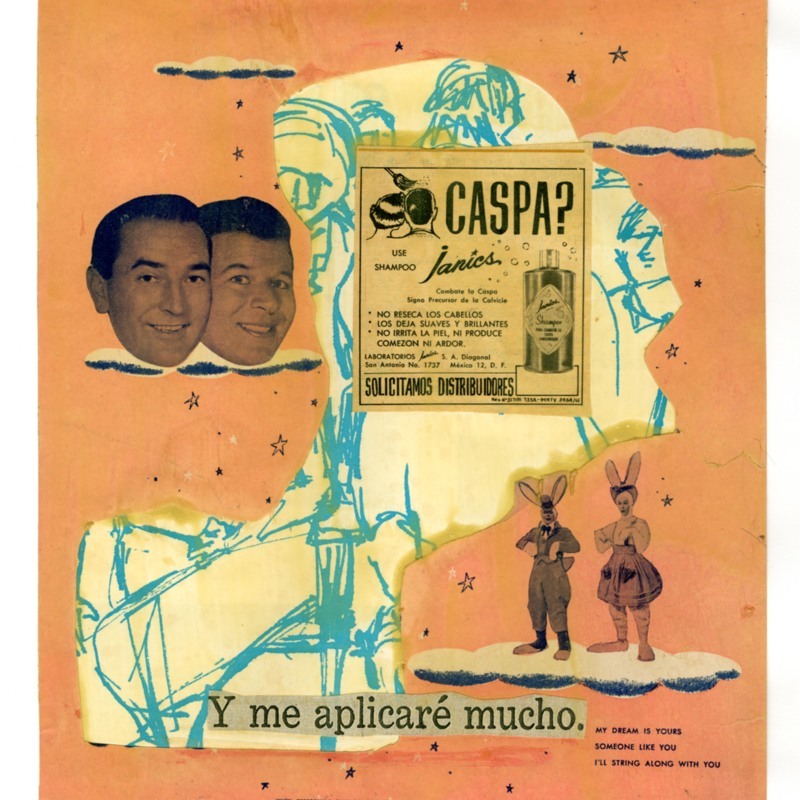 Being disconnected from parts of his identity at home contributed to feeling that he, more broadly, had nowhere to fit in. 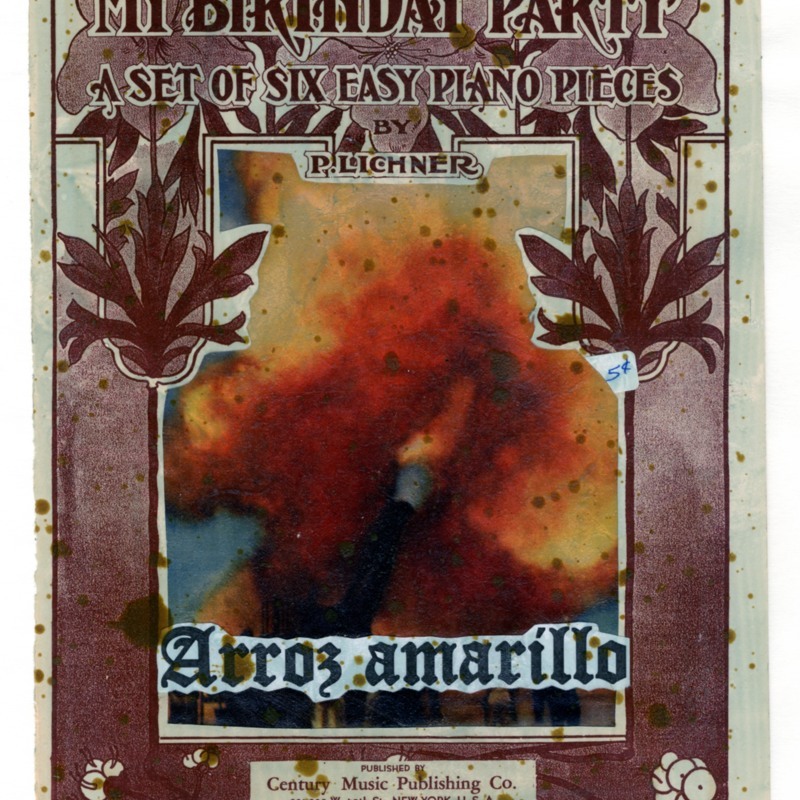 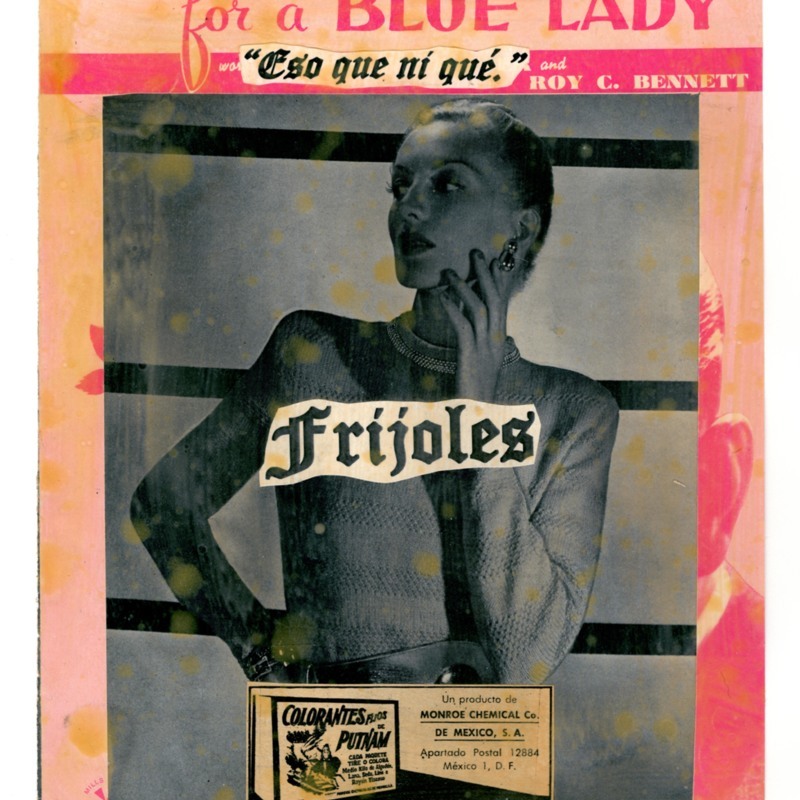 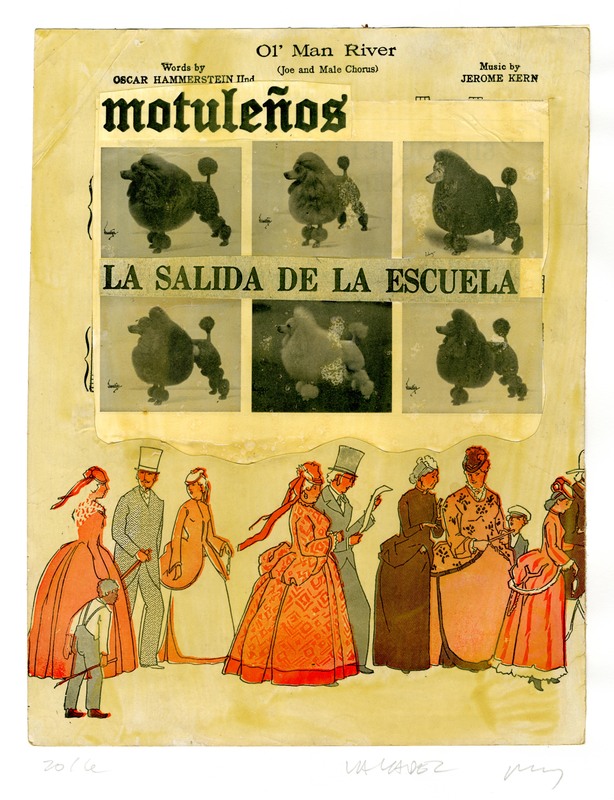 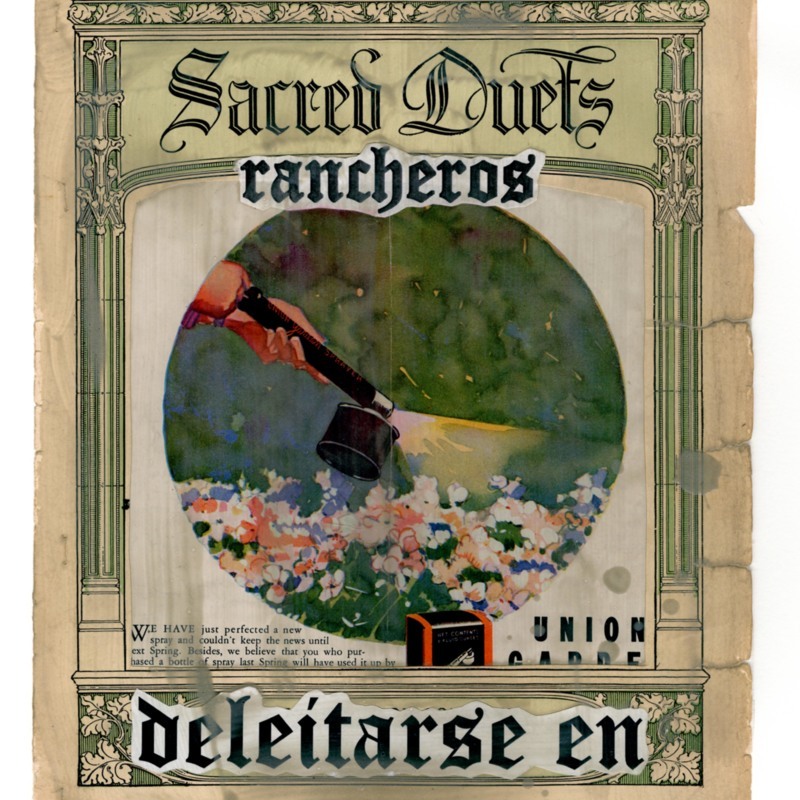 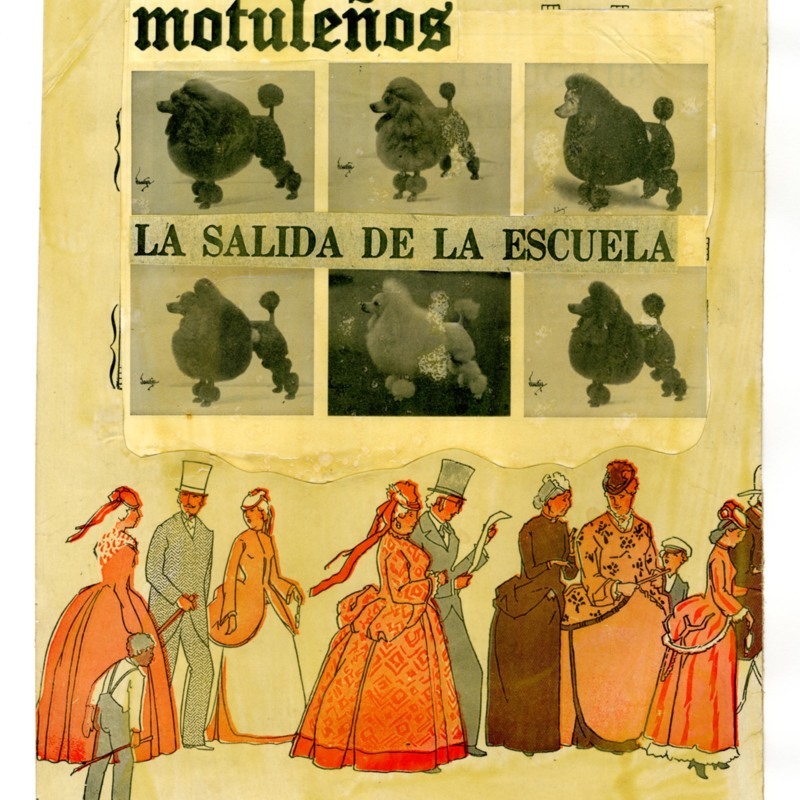 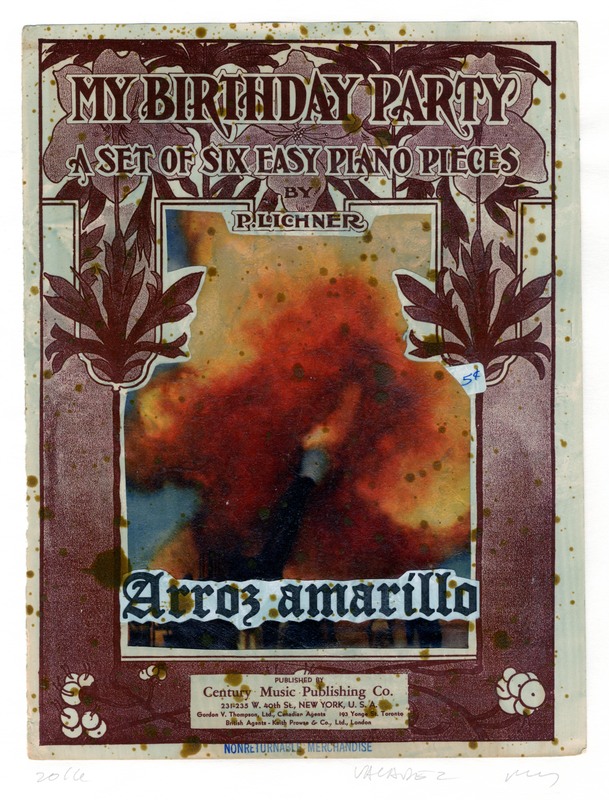 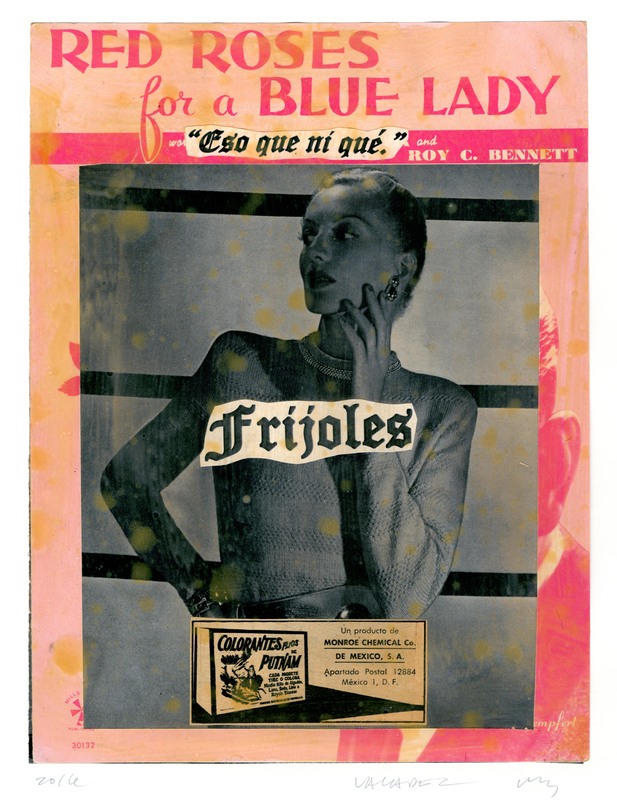 Stated in 2016, Selections from the Great Mexican American Songbook tries to capture this feeling by combining clippings of text and images from Spanish language newspapers and English language songbooks from the early 20th Century. 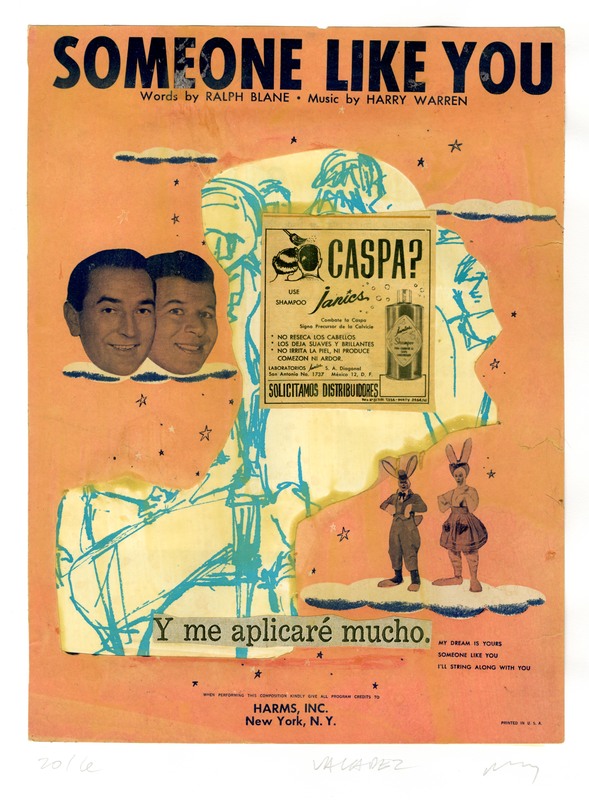 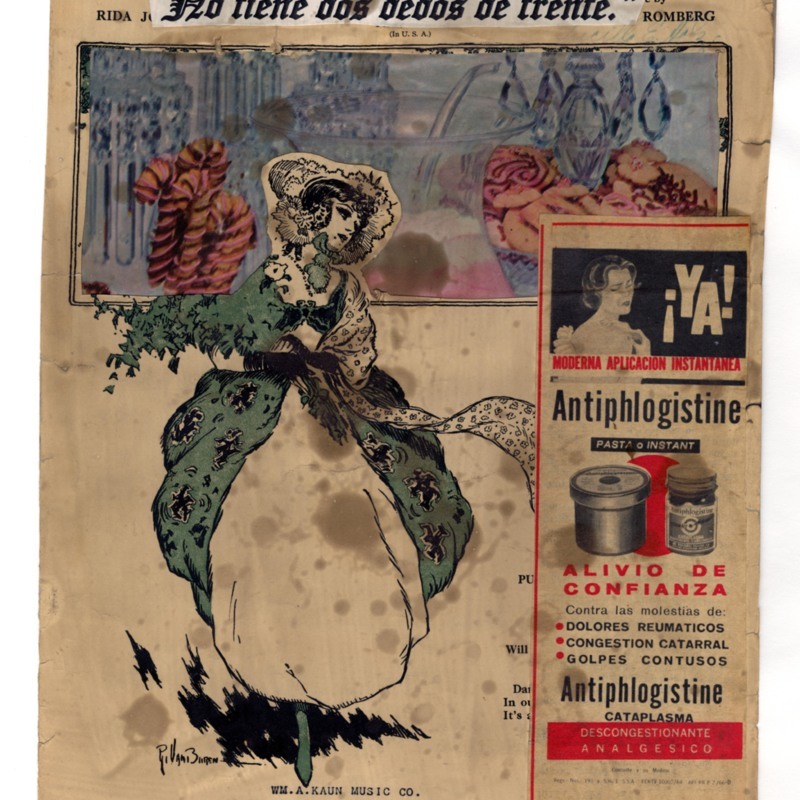 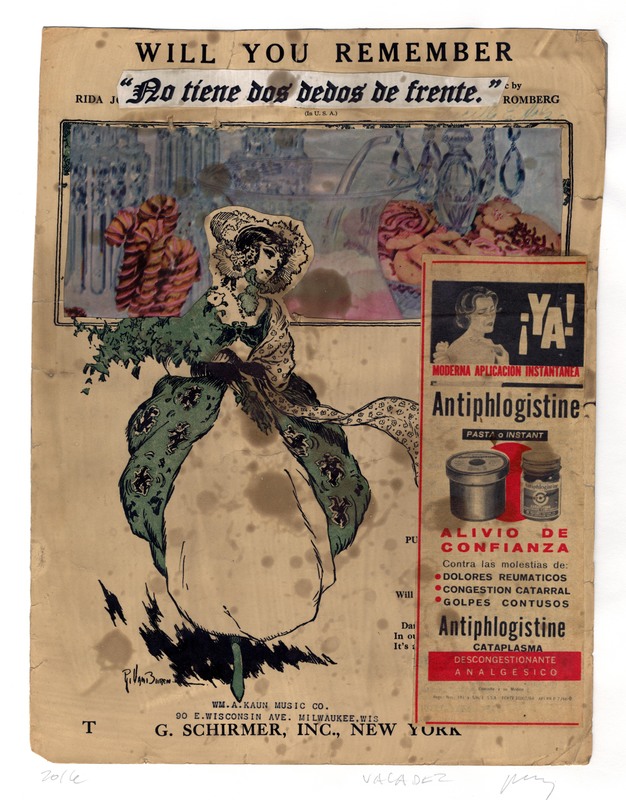 Individually, the collages’ purposeful and accidental connections can range from biting, to funny, to nonsensical and they are a challenge of understanding to both bilingual and monolingual viewers alike. 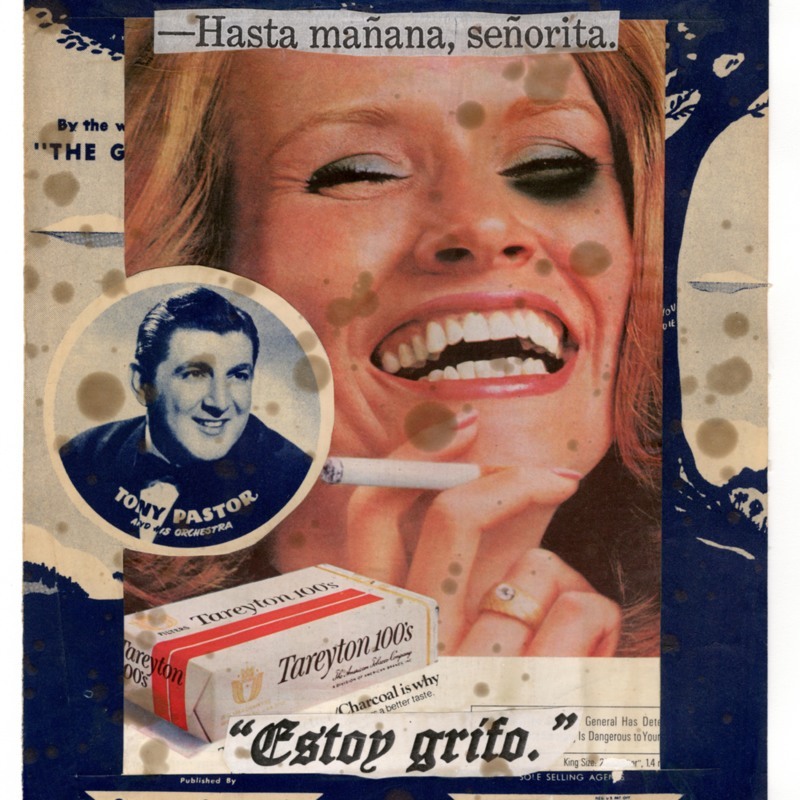 As a body of work, Selections gathers a continuing narrative of obfuscation through language. 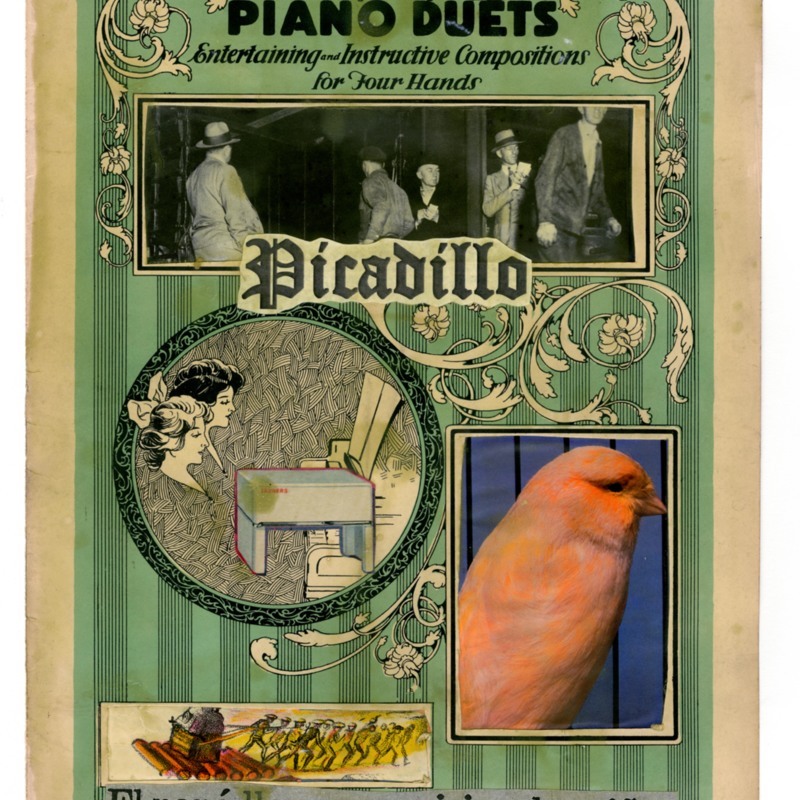 The published songbooks here are an indication of a form of cultural gatekeeping by dominant cultures to repress minority voices. 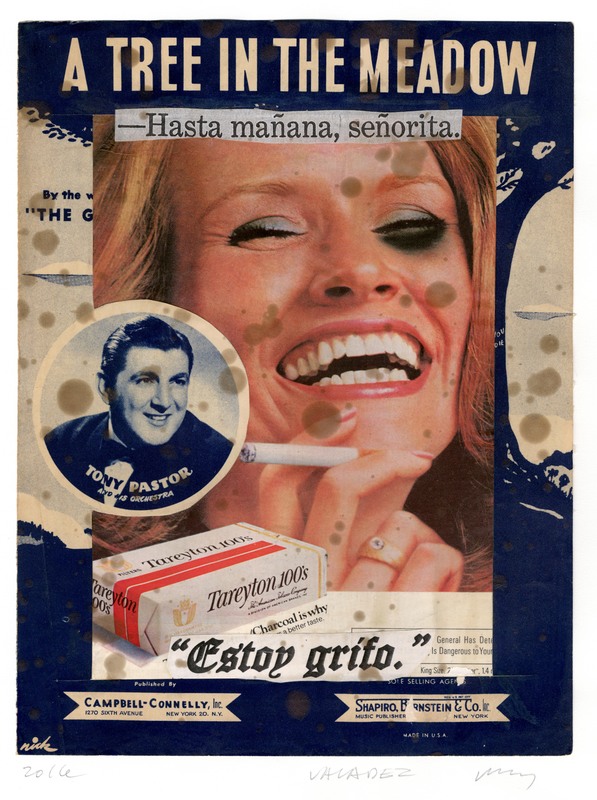 Valadez’s action of collaging his own experiences is not only an attempt to reclaim a narrative place, but is also an effort to dismantle a system that has repressed narratives like his. 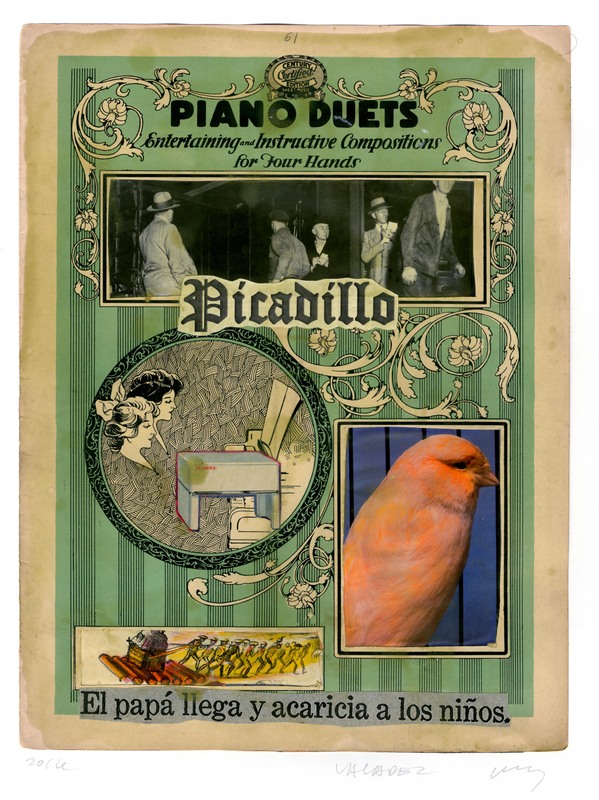 Paul Valdez (California, ), “Selections from the Great Mexican-American Songbook, a Top 40,” Cunningham Memorial Library Digital Exhibits, accessed April 21, 2019, http://stateit.indstate.edu/document/3043.